Whether you read it on the internet, heard it from a friend, or had it passed down from generation to generation, chances are you are clinging to at least one bad piece of skincare advice. 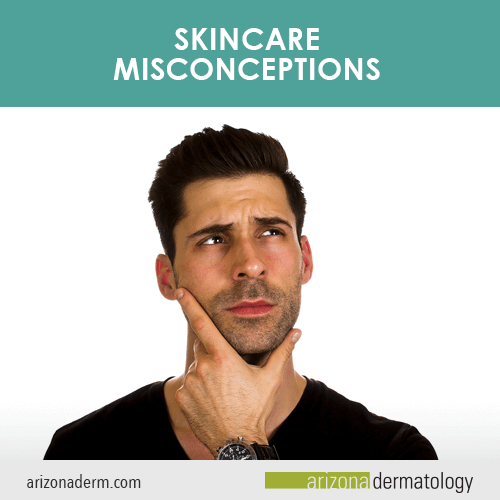 To start your New Year right (for your skin, at least), we’ve compiled 7 common skincare myths/misconceptions . . . and set the record straight. #1. Collagen in topical creams replaces collagen in your skin. Many products claim to replace lost collagen in the skin via an easy-to-use cream. Since collagen is the protein that gives skin its strength and elasticity, on the surface (pun intended) this seems to make sense. But no matter how great the marketing is, replacing collagen in the skin by topical means is scientifically impossible. Collagen is a large molecule that is not absorbed into the skin, and even hydrolyzed collagen (collagen that has been chopped up into smaller particles) does not get incorporated into the skin matrix. These creams may work as simple moisturizers, but nothing more. The good news is there are other treatments designed to stimulate collagen and elastin production in the skin, such as PRP injections. In addition, facial fillers offer fullness and volume with a faster result. #2. Oily skin doesn’t need a moisturizer. Many people who suffer from acne and oily skin tend to avoid moisturizing. The thinking is that their skin is moisturized enough by the oil it naturally produces. This is not the case. Although it may seem counter-intuitive, people with oily skin should moisturize. Acne products and excessive washing can dry out skin, triggering additional oil production, and, hence, more pimples. An appropriate moisturizer for acne-prone skin can help balance moisture levels in the skin and reduce further breakouts. #3. Vitamin E makes scars fade. Your mother may have told you to apply topical vitamin E to a scar to make it disappear. This is a common belief although there is little clinical evidence to support it. In fact, some people who apply topical vitamin E to their scars develop contact dermatitis, an itchy red rash, as a result. If you have scar tissue that concerns you, a better treatment option is laser resurfacing. This non-invasive treatment not only works on scars, but also on wrinkles, frown lines, blotches and more. #4. The higher the SPF, the better. While an SPF of 30 is definitely preferable to an SPF of 6 or 8, going higher isn’t likely to give you anything more than a false sense of security. You see, Sun Protection Factor (SPF) is calculated by how much UV radiation is blocked, and it’s not a one to one ratio based on the number. An SPF of 15 blocks 93% of UVB radiation while an SPF of 30 blocks 97%. An SPF of 50 blocks 98% (only 1% more). And the number doesn’t have anything to do with how long it lasts. No matter what SPF you use, you’ll need to reapply every two hours and after excessive sweating or taking a dip. Make sure your sunscreen is broad-spectrum (protecting against both UVA and UVB rays), and for additional sun protection, wear a hat, sunglasses and UPF clothing. #5. To get better sun protection, apply two products with sunscreen. Another misconception about SPF is that multiple products with SPFs add up to better protection. For example, if your moisturizer has an SPF of 15 and your sunscreen has an SPF of 30, doesn’t that mean you have a total SPF of 45? It doesn’t. When using multiple products with an SPF, the highest number is your total sun protection factor. For the scenario above, your protection would be SPF 30. 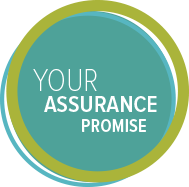 You can learn more about how SPFs work here. #6. Wearing makeup makes you age faster. Thank goodness this is just a misconception! Who wants to feel guilty every morning while applying foundation? Makeup is not the culprit for aging, and some makeups actually contain elements that are good for skin, including moisturizers, sunscreens, and acne-fighting medicine. Our dermatologists share our recommended makeup brands for different types of skin here. What you should look out for when wearing is makeup is to use sanitary application methods, replace old products (every two years for most products, but every three months for mascara and liquid eyeliner), and cleanse your face thoroughly at the end of the day. Follow that up with a good moisturizer, and your skin will be ready for a good night’s rest and the day ahead. #7. Facial exercises will keep your skin young-looking. There are claims by companies (even reputable ones) that performing regular facial exercises can combat aging by strengthening the muscles in the face, reducing the appearance of wrinkles, improving blood flow, and tightening and firming facial skin. However, there is no evidence that facial exercises have any impact on skin health or appearance at all. In fact, they may actually make things worse. Some facial folds occur because of repetition of certain expressions, so repeating expressions on purpose could actually cause more folds to appear. Overall, facial wrinkling and sagging is due to a loss of collagen, elastin and fat. Unfortunately, there is no exercise for that. If you or someone you care about has questions regarding their skin, please don’t hesitate to call our office and schedule an appointment with one of our providers today!